Line the base and sides of a large slice tin with baking paper. Stir chocolate and copha over a medium heat until melted. 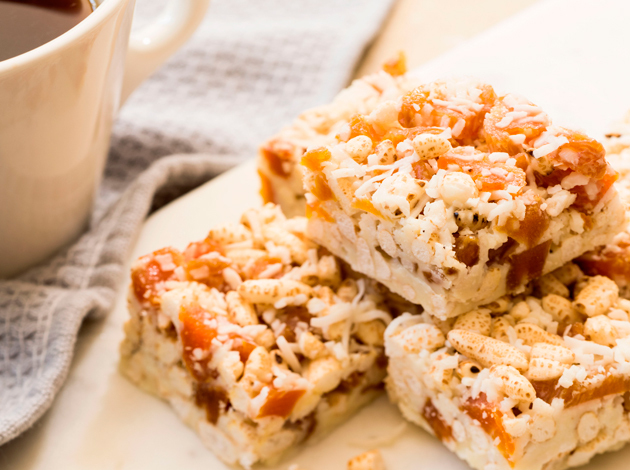 In a deep bowl combine the rice puffs, coconut, apricots and icing mix together. Add the chocolate mix and stir well to combine. Spread evenly in the prepared tin, press lightly and smooth surface. Cover with plastic wrap and chill for 4 hours before cutting into squares. Try this delicious light and easy slice at home!